Owning a holiday home can be greatly rewarding and provide a valuable source of income for your household. However, as most owners will know, it can be a balancing act between your convenience and the guests’ comfort when it comes to furnishing and kitting out the property for rental on the holiday let market. To make life a bit easier for property owners we’ve complied a quick checklist of room essentials that will ensure that your guests have everything they need for an enjoyable stay. Ensure that all any furnishing that you use are flame retardant and comply with insurance and fire regulations. For your guests’ utmost convenience, ensure that there is enough crockery, cutlery and glasses for double the number of people that your property sleeps. Provide a wide range of pots and pans in all sizes. All basic utensils such as kettles and toaster must be included, but extras such as microwaves, irons, washing machines and dishwashers are always appreciated. It is generally a good idea to provide a dining table that has enough room for the maximum number of guests that the property can hold. Stock up on supplies – leave some basics such as tea, coffee, herbs and sugar for your guests as well as things like washing up liquid, sponges, tea towels and washing powder. You might want to consider a welcome basket. Ensure that there is enough comfortable seating for the number of people that the property sleeps. Provide a TV with at least basic satellite channels; it is also a good idea to provide appliances such as DVD players and/or games consoles for entertainment. Non-digital appliances such as books, cards and games are also useful things to keep in the property. Provide smaller items such as coasters, throws and cushions to ensure both comfort and furniture protection. Provide a good Internet connection and WIFI. Provide at least two bath towels and two hand towels per guest. Think about supplying medium sized towels for people to dry their hair. Ensure that there is at least a basic hairdryer per bedroom. If you have families or elderly people staying then non-slip shower mats are advised. Bathmats are advised to stop guests using towels on the floor. Ensure that there is a plentiful supply of basic toiletries and basic cleaning equipment. See that your property has an ample supply of quality bedding to ensure quick changeovers. There should be at least two sets of sheets per bed, a duvet with cover, two pillows per person with pillow protectors and extra blankets. Provide basic amenities such as bedside tables, lamps and alarm clocks in each room. Ensure that there is plenty of storage space and an ample supply of coathangers. An outside space that is well maintained can act as a major draw so make sure it is as attractive as possible. Extras such as BBQs, sun loungers, children’s toys and outdoor dining furniture are wise investments. Plants and other decorative pieces will greatly enhance the look of your property. Equipment such as bicycles will encourage guests to get out and about. 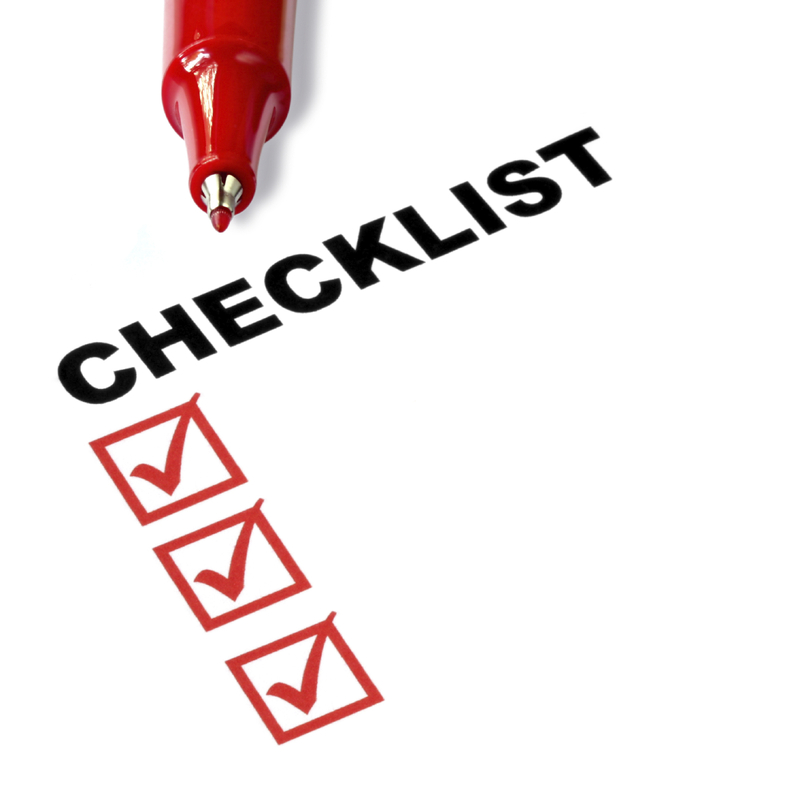 This is a basic checklist, feel free to add to it depending on your property and visitor needs. Hopefully it gives you a good idea of the basics of preparing your house for holiday letting.